Friends enticed us into walking up Lion's Head on Friday evening. Truth be told, they never had to convince us - just look at the view! We only arrived at about 19h00, a little later than we'd hoped. By that time our friends had already walked about 70% of the way up to the top, and we'd driven about a kilometer past the start of the hike to find a spot to park. 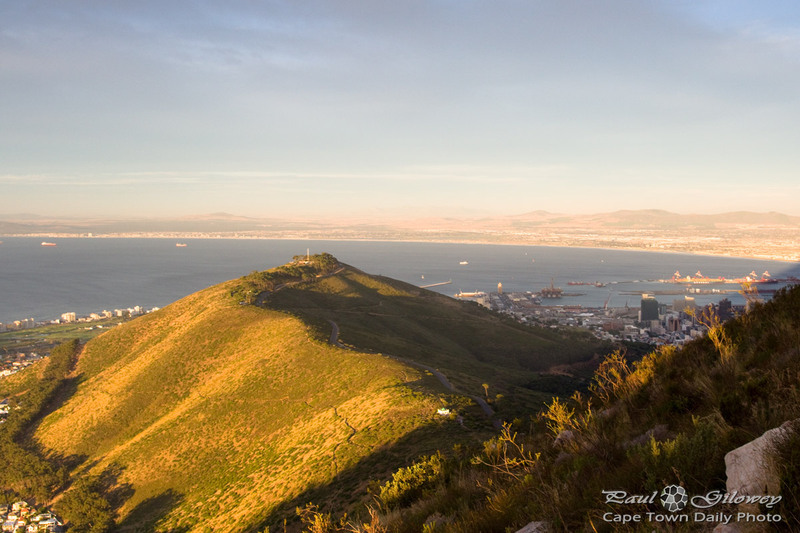 We knew that we wouldn't make it to the top by sunset, so we decided to take a different route, around the right side of Lion's Head - starting from Signal Hill. 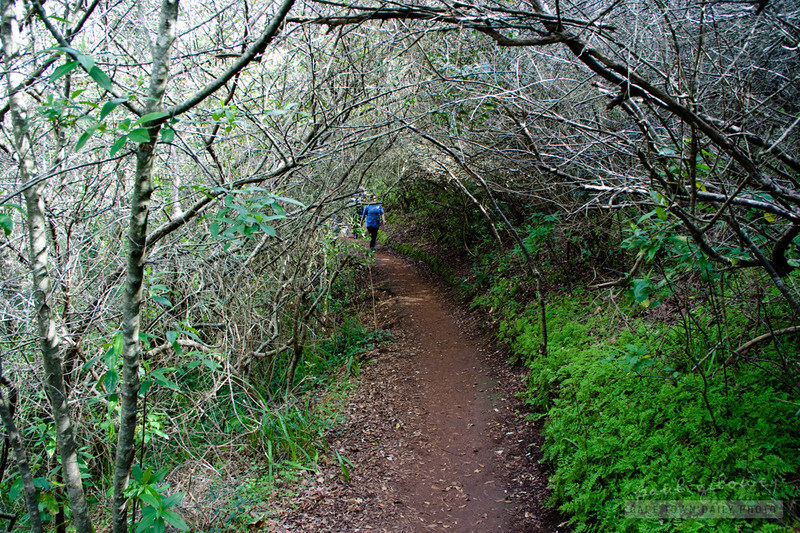 The route we took was quite a long, comfortable, footpath that winds around the top of Sea Point and Bantry Bay, finally taking a steep switchback route to meet up with the main path to reach the summit. This photo was taken on the switchback, just before reaching the main path. I'll post a few more pics in the next day or two. It really was a pretty pretty sunset from above. Posted in General and tagged hiking, lion's head, signal hill, table bay on Sunday, 19 January, 2014 by Paul. Posted in General and tagged hiking on Tuesday, 17 September, 2013 by Paul. 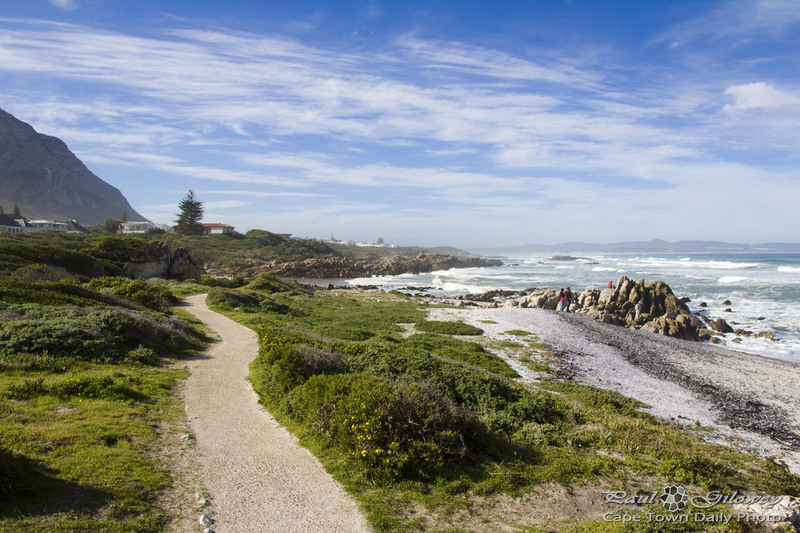 That pathway, meandering off into the distance, is the well-maintained pathway that I mentioned in my previous post about the Hermanus Cliff Path. 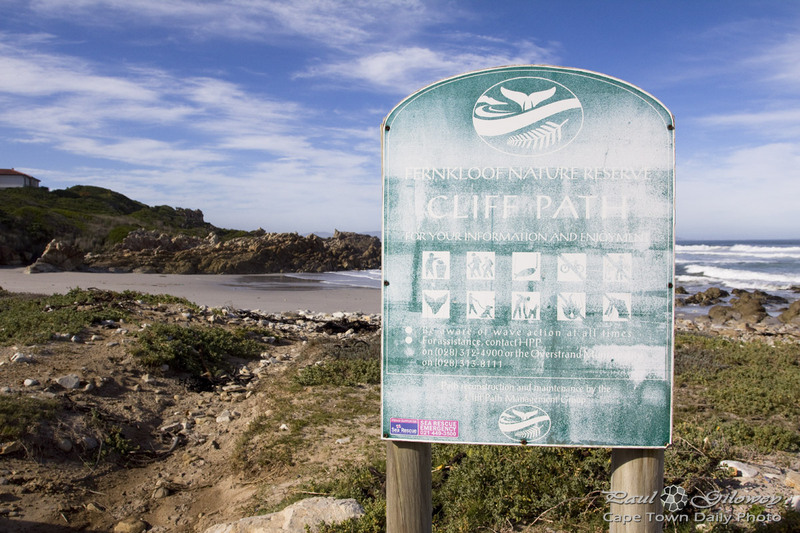 Posted in General and tagged hermanus, hiking on Saturday, 6 July, 2013 by Paul. The only annoying thing is that we came across people who were walking their two unstable-looking Alsatians along the path... at times without leashes! 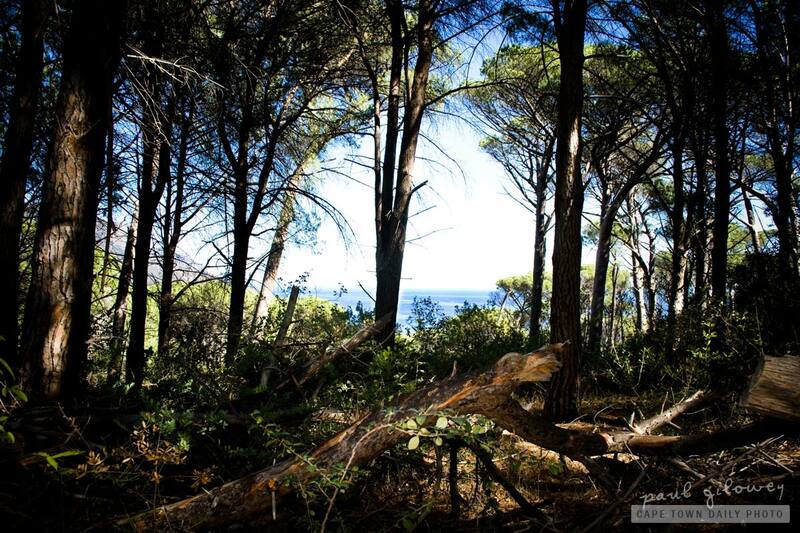 Posted in General and tagged hermanus, hiking on Tuesday, 2 July, 2013 by Paul. Posted in General and tagged hiking on Saturday, 2 February, 2013 by Paul. 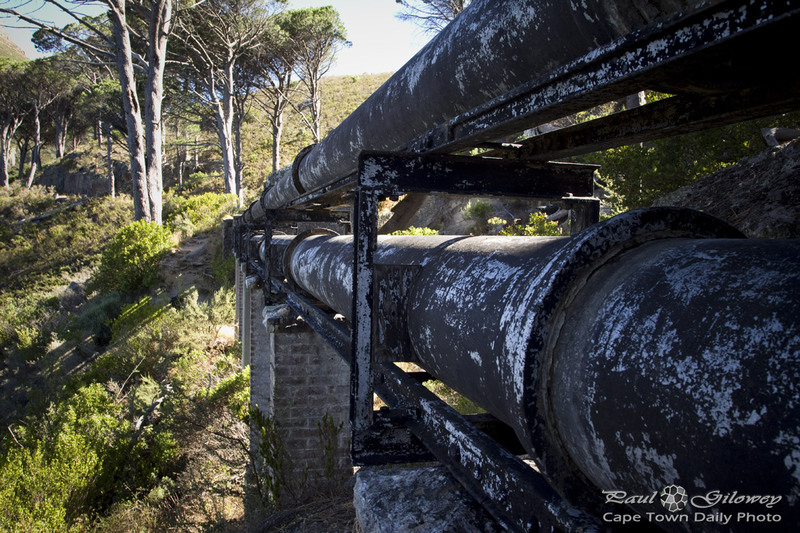 Posted in General and tagged hiking, pipes on Friday, 1 February, 2013 by Paul. The views from the dusty Hillcrest's (map) hiking trails are spectacular - much more so than what I've shown in this photo. 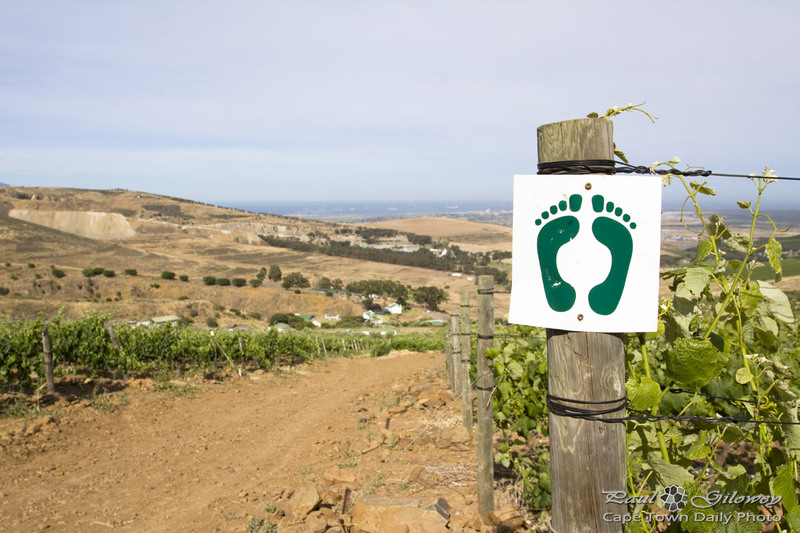 If you're keen to amble though the vineyards, along one of the trails, arrive by 8am, take an exploratory walk through the vineyards, and end off the outing by visiting the estate's restaurant for breakfast. Be sure to take plenty of sunscreen and water along - it's surprisingly easy for a quick walk to turn into a two-hour trek. 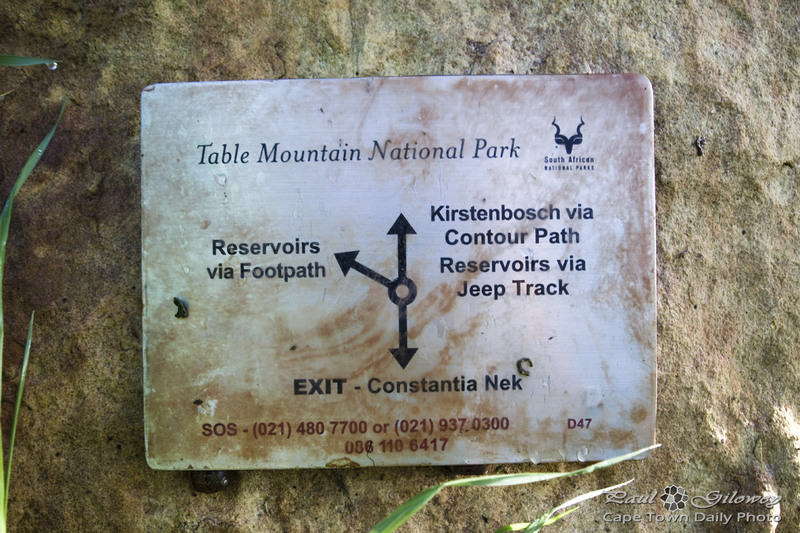 Posted in General and tagged durbanville, hiking, hillcrest, table mountain on Friday, 21 December, 2012 by Paul. 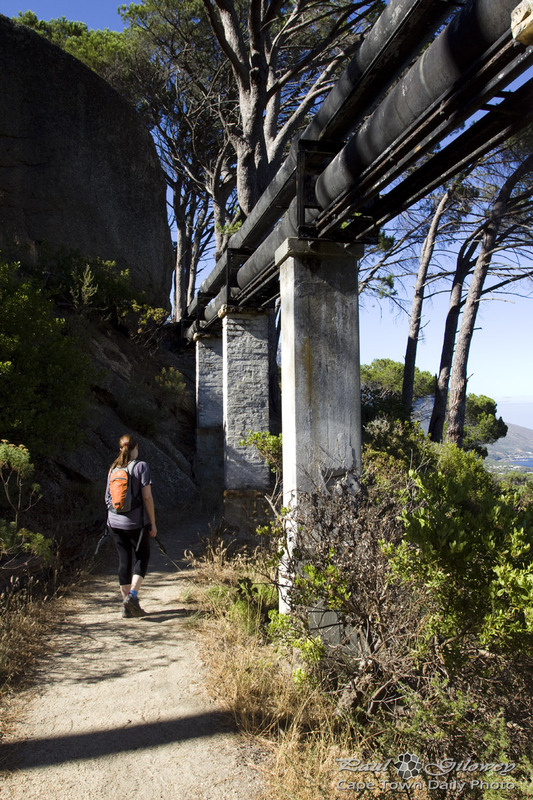 While staying in Cape Town, and if you find accommodation close to the mountain (or Signal Hill and Lion's Head) you'll find plenty of easy-going hiking trails within walking distance. It's especially awesome to take an early-morning walk among the pine trees while the sun is rising and the air is crisp and cool. However, don't walk alone - for many reasons it's just not safe. The first is in the event that you injure yourself (which likely if you suffer from dyspraxia :P ) you'll have a buddy to help you, and the second reason is that (although the chance is remote) you may come across someone with ill intent. Don't go overboard now, I walk the trails without ever worrying about this problem, but Cape Town is a city with it's bad elements - so best be safe and not ruin your vacation. 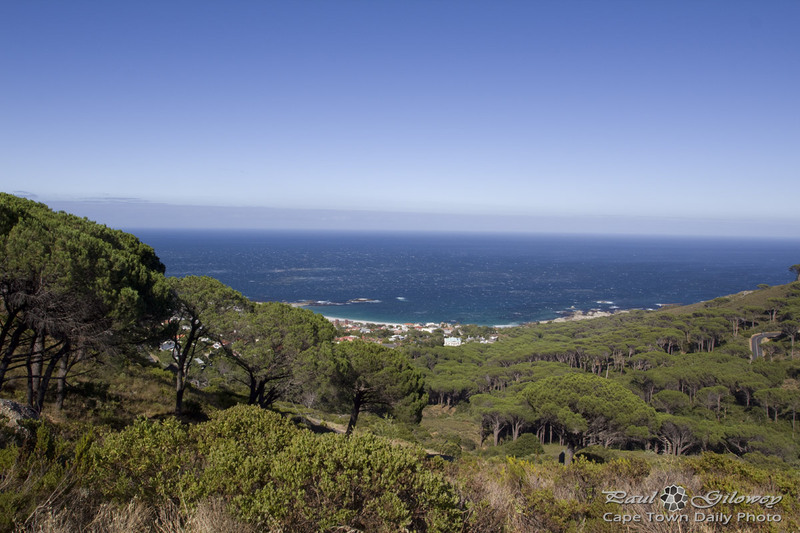 I took this photo on the slopes of Lion's Head, just above the Round House restaurant that overlooks the Atlantic Ocean and Camps Bay. If you drive there, you'll find a few places to stop and park your car so that you can take a short walk amidst the smell of fresh pines. Posted in Activities and tagged forest, hiking on Wednesday, 4 May, 2011 by Paul. In case you missed it, see the previous post in this series. 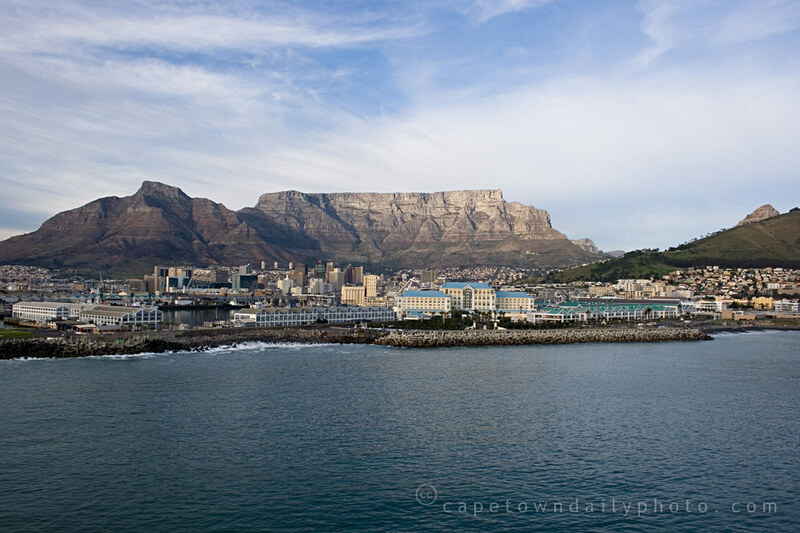 When viewing Table Mountain from it's post-card perspective, Devil's Peak (the subject of today's photo) is the tall pointy mountain located on the left side of Table Mountain. 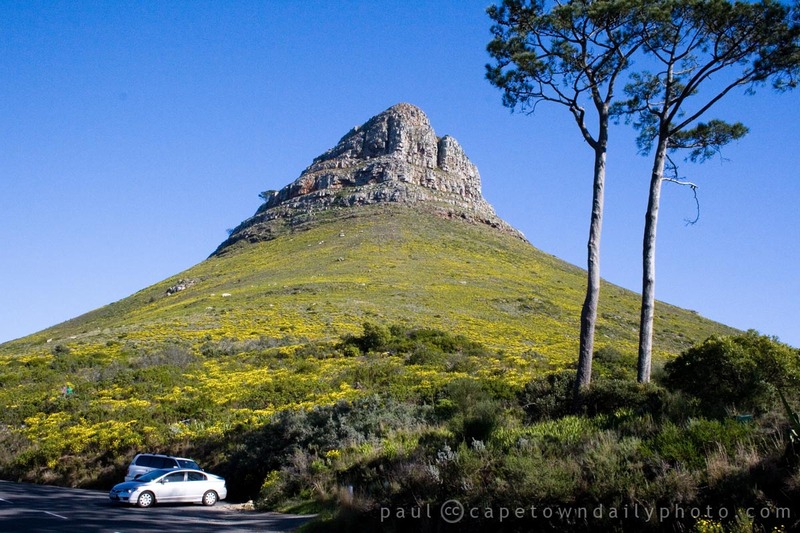 Based on this photo, you may be surprised to find out that even though it doesn't look that way, at 1000m above sea level, Devil's Peak is a mere 87 meters shorter than Table Mountain! Posted in Activities and tagged devil's peak, hiking, table mountain on Saturday, 2 April, 2011 by Paul. 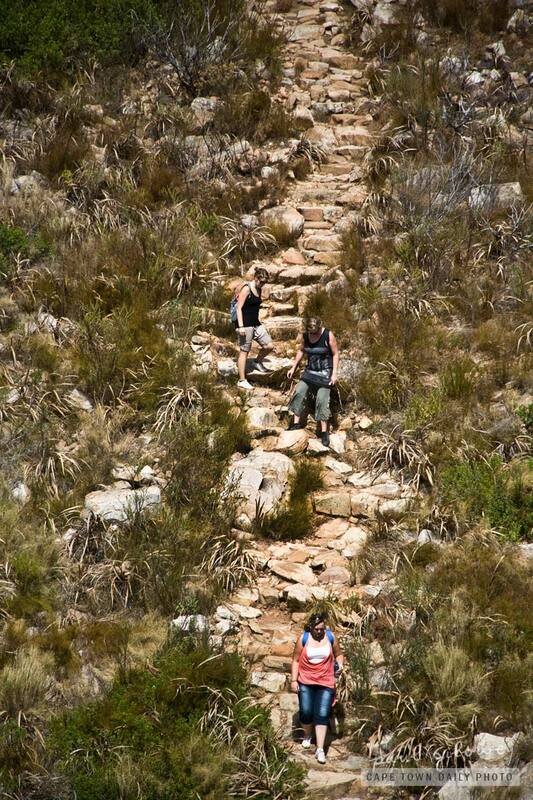 Each day dozens of people spend hours walking, hiking and climbing on Table Mountain. I think because of its close proximity to the city, and the beautiful views, people tend to forget how vulnerable they are when out visiting Mother Nature. Each year we hear of people getting lost on the mountain, having narrow escapes from tragedy, and some times regrettably not escaping unscathed. 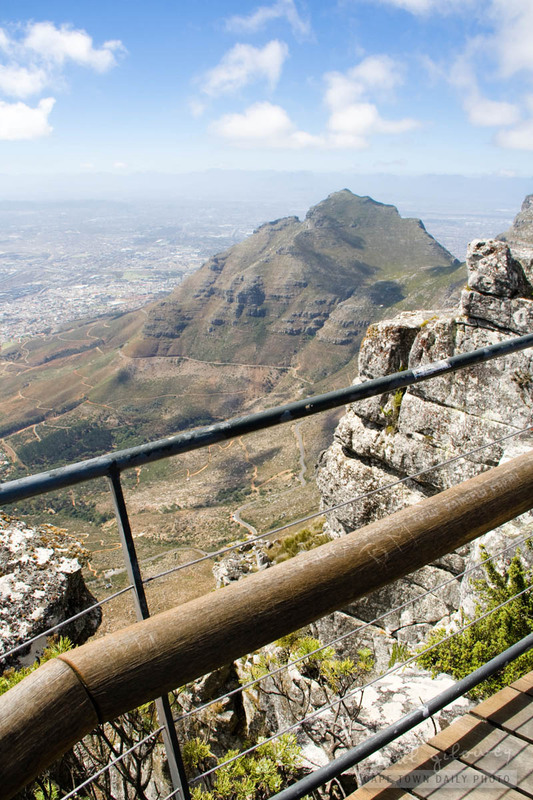 If you're new to Cape Town, consider joining an experienced group when venturing out onto the mountain, and take care to follow these safety guidelines. And, just to be safe, keep the emergency telephone number handy on your cell phone: 086 110 6417. Posted in Activities and tagged hiking on Thursday, 17 March, 2011 by Paul. I know that it doesn't look much like a lion's head from this angle, but trust me, from a particular angle, a little further away - this hill looks just like a lion's head. One of the coolest experiences in Cape Town is to hike up Lion's Head during a full moon. It's not too dangerous as there's a pathway that leads in a spiral all the way around the hill, right the way to the top. Once up there the city lights, the boats in the harbour and in the bay, and the stars of the sky look simply awesome. Posted in Activities and tagged hiking, sights on Saturday, 7 August, 2010 by Paul. Could they not have told us before? 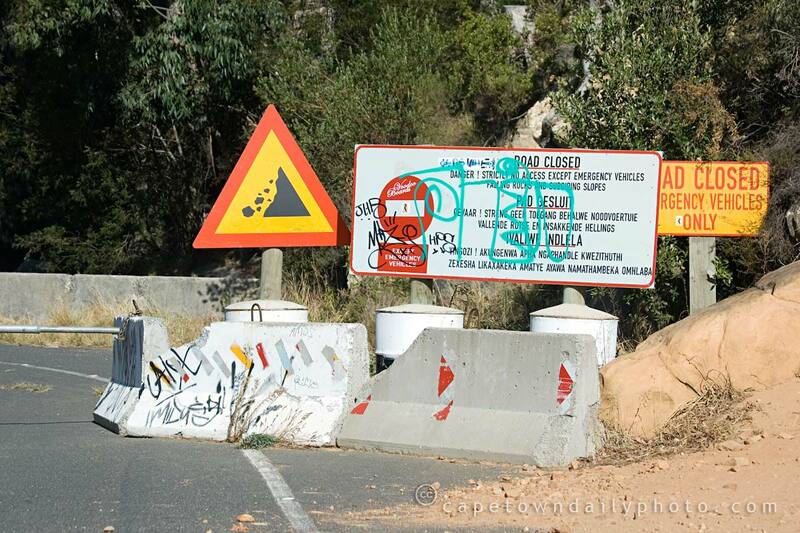 We've taken Tafelberg Road along to the Cable Way many times, but I've never bothered driving further along the road to see exactly where it goes. We decided to take a drive along the mountain road, heading towards the southern suburbs, hoping to eventually get through to Newlands. All was going well until a few kilometres into our journey, when we suddenly came across what you see in the photo. I mean, really, could they not have warned us that the road was barricaded? 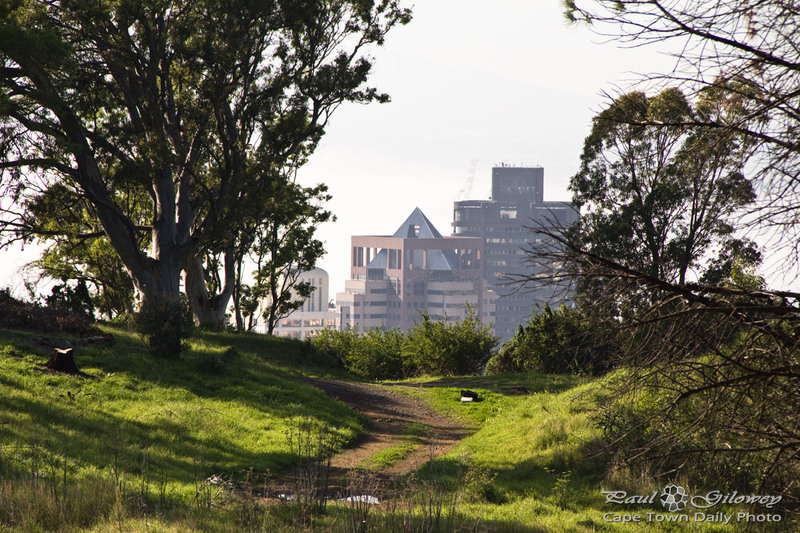 I took a look on Wikimapia and found that the road actually does lead down to De Waal Drive, which is a hop, skip and a jump to Newlands. 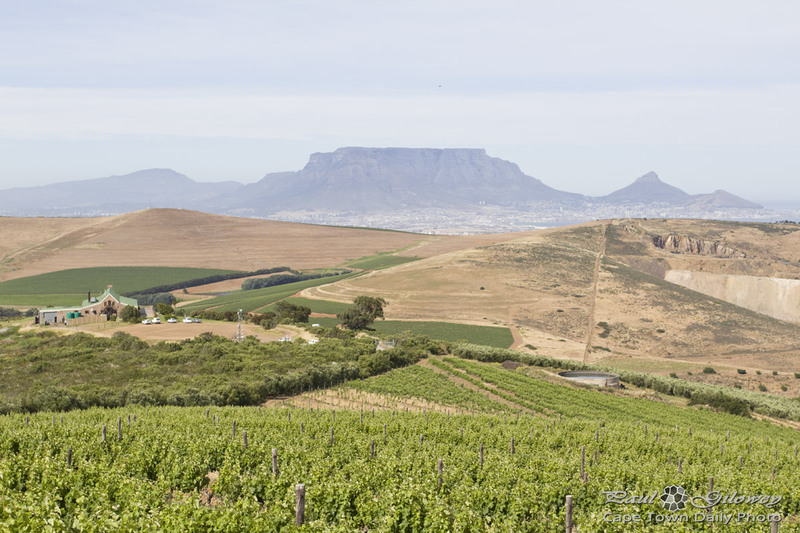 Even though it took us to a dead end, the view from Tafelberg Road is spectacular. 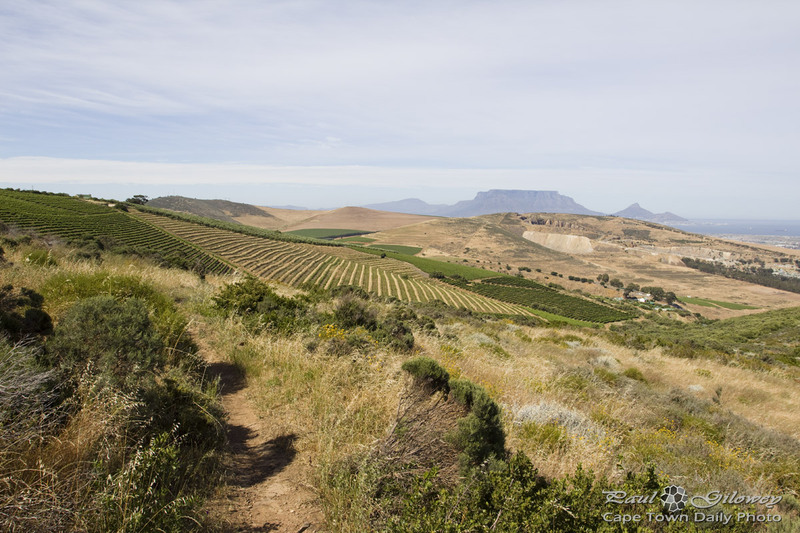 It's actually worthwhile parking near the Cable Way and taking a walk along to the start of the Platteklip Gorge hiking trail, one of routes to the top of the mountain. Posted in General and tagged hiking, road, traffic sign on Thursday, 16 April, 2009 by Paul.